I’m human, so I look at Instagram every twenty minutes. Between all the friends and acquaintances and nail artists I follow, there are usually ads—this much I’ve gotten used to, though I was once shocked by it. But recently I’ve noted there are TONS of them, and from real brands, not just pixelated vitamin suppliers. There are ads for cheesy-looking new ABC shows, close-captioned Walmart sponsored video posts, and Delta ads that are also somehow Amex ads featuring Tegan and Sara. They’re coming hard and fast down the pike, especially now that the timeline isn’t even a goddamn timeline. Yesterday, about a year into the inclusion of ads on the platform, Facebook’s Instagram (which, let’s just take a moment to recognize how odd that phrasing is—Instagram is literally a brand’s brand) announced that it’s sold ads to a half a million brands, so basically every third post you see is now an ad. However, I also follow Karlie Kloss and other celebrities (I’m human, remember), so I see a fair bit of #sponsored #ad content now and then. It’ll be something like Kim Kardashian with blue gummy bears in her hair or Chrissy Teigen with a Chase Sapphire card in her teeth. Today I was fed a full commercial from Karlie Kloss, which was amazing because it was just a fully produced video ad like the ones you used to see on television when you used to watch live television. 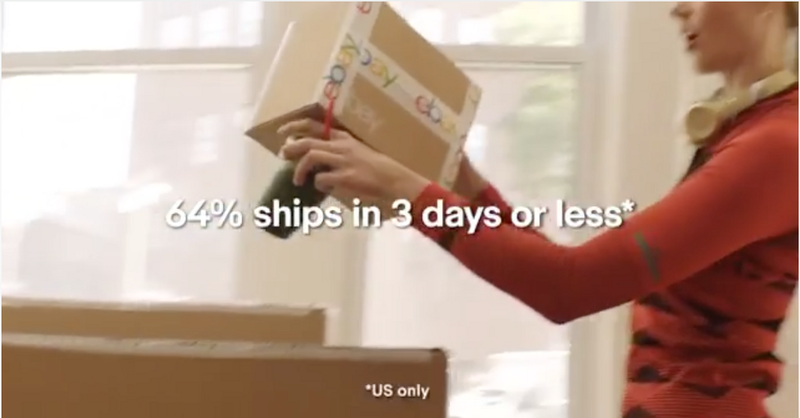 We all use Amazon all the time, except for those conscientious abstainers who are like, “nah too much cardboard” or “I only go to real stores” or “the drones don’t reach my estate.” And eBay knows that, and it wants some of our business back. 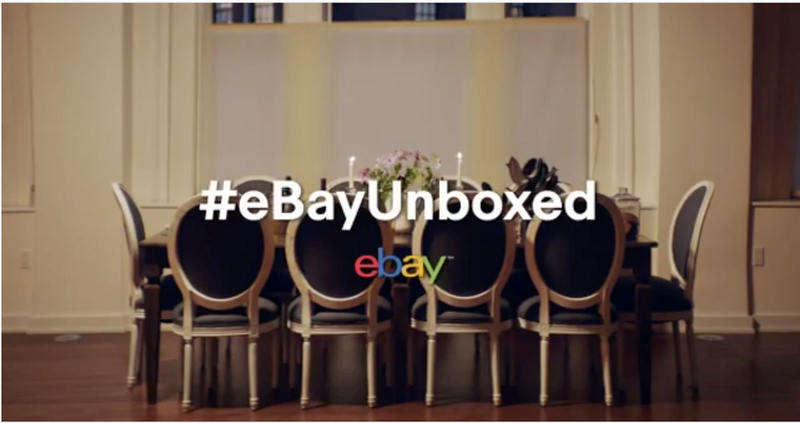 There’s also a hashtag, because this is Instagram: #eBayUnboxed. Currently this hashtag hosts mostly duplicates of this video and stills from the same campaign, and a similar ad by celebrity interior designer Nate Berkus with much lower production value and a much sadder quote: “For some reason, people think of eBay as a place to find, like, dusty collectibles and I can’t figure out why.” Nate Berkus, you know exactly why. He goes on to say unenthusiastically that he finds the “best new things” for himself and his family and you guys should check it out. It’s very sad.